Description: Brazil’s collaborative economy has sparked socially innovative business models built on a commitment to resilience, sustainability, and profitability. Monica Picavea shares examples and discusses the competitive advantage of social development. Bio: Monica Picavea has experience working on inter-sectoral strategies for social development. As Superintendent of the Stickel Foundation she focused on development near the outskirts of São Paulo. 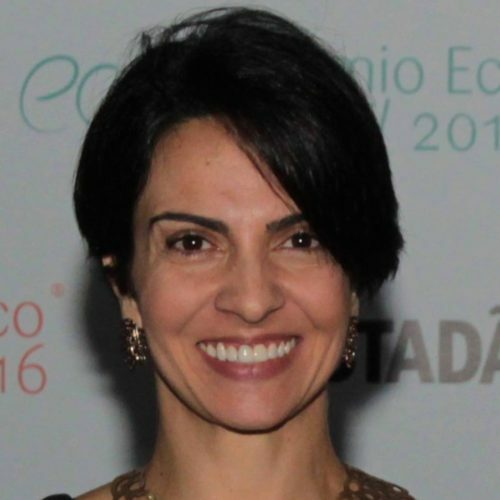 She founded Oficina da Sustentabilidade, a B Certified Company working on environmental projects for companies. Monica studied Design for Sustainability by Gaia Education in Scotland. She holds a Marketing degree from the Catholic University of Business Administration, FAE, Paraná, and a Masters in Business from Baldwin Wallace in Ohio.